I mean, I'd be freaked out too. Imagine you come home only to find your greatest enemy’s face in pillow form gazing out at you past the cushions of the couch. Its eyes gazing at you, triggering your body into a fight or flight response as you remember each and every time its villainous claws dug into your spine to tear it from your feeble psychic body. I mean look. 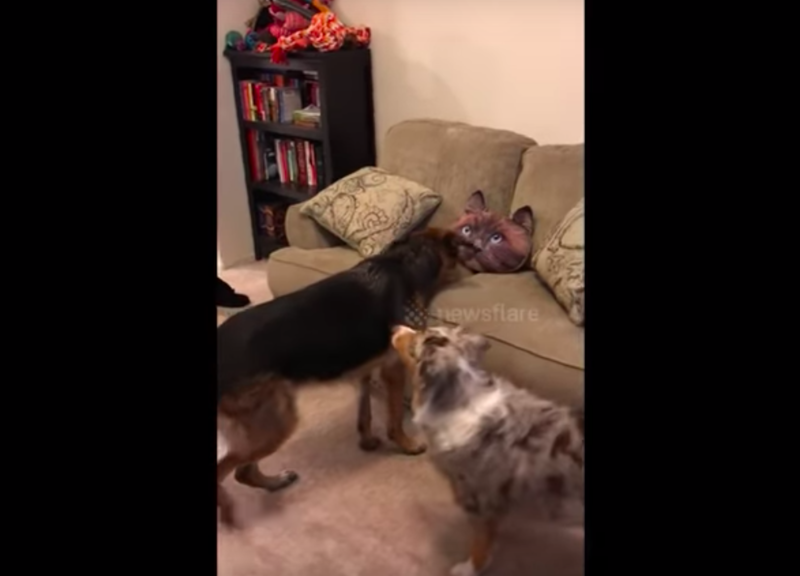 If I came home and saw a pillow of Kristjen Nielsen I’d be pretty upset, and I imagine these dogs feel the same way about this pillow of a dang cat staring back at them! 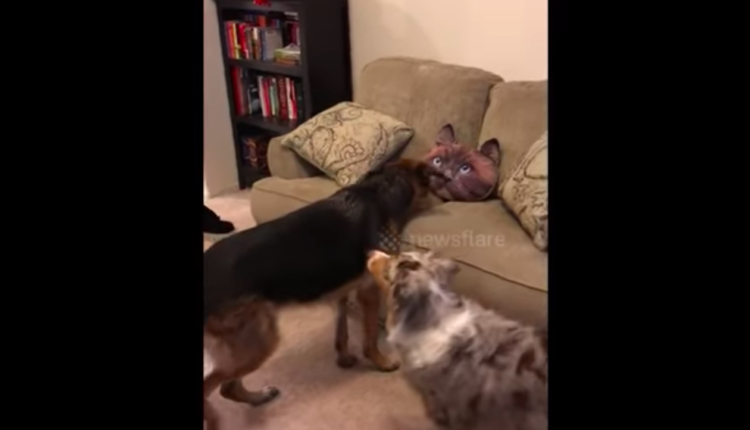 At least in this video that show some dogs freaking out at a cat pillow. And I’ll be honest, I’d freak out too. I mean look at that thing. It’s like the concept of a cat head came down just to make you feel weird. It has no other goal. You just look at it and feel kind of weird. The only thing that would make this pillow scarier is it it could blink if you looked at it for long enough. Yuch. Are we sure the dogs are reacting to it this way because it’s of a cat? I can promise you my reaction would be exactly the same. Wether its Kristen Njelsen or a giant cat, I just don’t need a face that realistic staring back. No thank you! What do you think of the realistic cat head pillow? Would you buy one for yourself? Are the dogs right and this is pure horror? Are the dogs wrong and cats are good? And what of the rest of the animal kingdom? What say they of this nightmare pillow? Shall it belong more to the animals or rejoin the kingdom of man? I don’t know. But you might. Let us know in the comments or on Twitter at @WhatsTrending. BlockChain Report 12/17/18: What is OmiseGo?